Red Star Pasteur Champagne Yeast - Texas Brewing Inc.
A strong fermenter with very good tolerance, and will readily ferment musts and fruit juices to dryness. 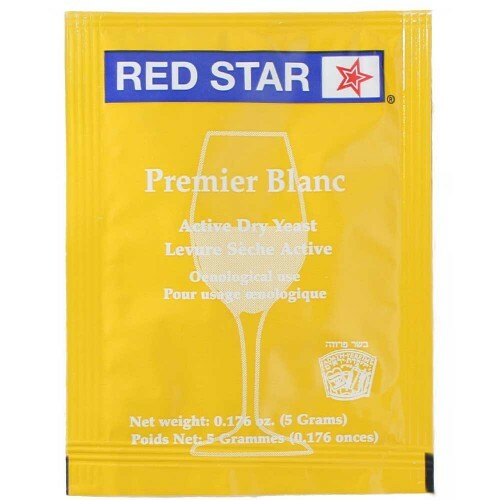 Red Star Pasteur Champagne (Davis #595), a strain of Saccharomyces bayanus, has been derived from a pure culture slant of the Institute Pasteur in Paris. This strain has been widely used in the U.S. since about 1968. It is a strong fermenter with very good ethanol tolerance, and will readily ferment musts and fruit juices to dryness. This yeast has good tolerance to sulphur dioxide. Its use is recommended for all white wines, some reds and for fruit juices. Although this yeast is somewhat flocculent, it is not commonly used for sparkling wines. Pasteur Champagne has been recommended by several sources for restarting "stuck" fermentations.